Schipperkes were first recognized as a formal breed in the 1880s, their standard being written in 1889. Much of what is known of their origins and early history comes from Chasse et Peche (French for "Hunting and Fishing") magazine, articles of which were translated into English and published by the English magazine The Stockkeeper. 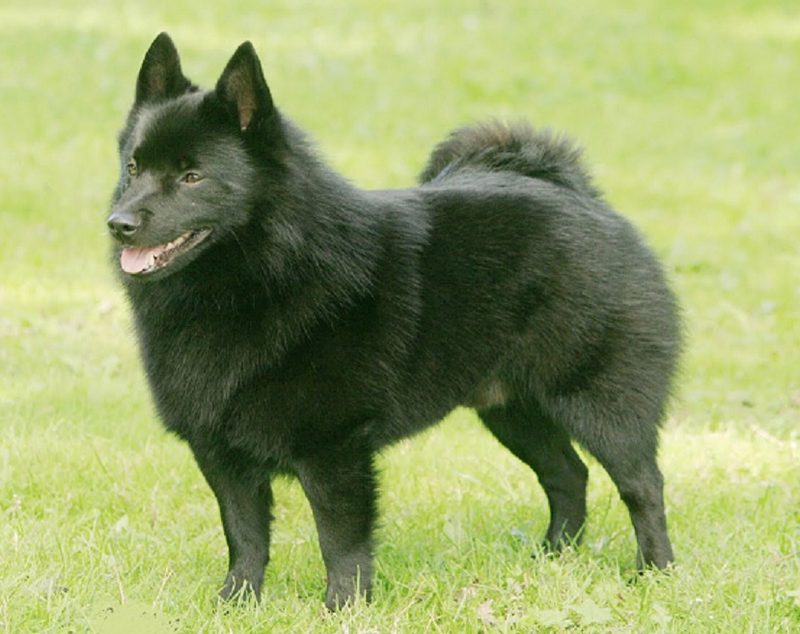 The breed name of "Schipperke", in English-speaking nations, was thought to mean "little boatman". However while they were occasionally seen on barges it was not their original or primary function, and in the areas of Leuven and Brussels "schipper" was the word for shepherd, making the name translate as "little shepherd". Before the name "Schipperke" was officially taken, the breed was also known colloquially as "Spits" or "Spitzke", a name commonly used to describe a small dog with pointed ears. They were also occasionally called "Moorke", meaning "little black animal". Schipperkes are widely referred to in the United States, albeit erroneously, as "Belgian barge dogs" or "Belgian ship dogs". Apparently, however, their history dates to a seventeenth century black shepherd dog commonly called the Leuvenaar, a 40-pound dog often found in the Louvain region of Belgium and employed to guard flocks and transport. These dogs are apparently the foundation breed for both the modern, and smaller, Skipperke and the modern, and larger, Black Belgian Shepherd Dog, also known as the Groenendael. In World War II, the Belgian Resistance used the dogs to run messages between various resistance hideouts and cells, to which occupying Nazi Forces were none the wiser.